Crazy ideas can sometimes lead to fun adventures, such as that time last year when Johnny and I decided to buy an electric hybrid car 900 miles away from home. I guess that only shows that we are willing to do anything to get what we want, right? New York is one of a handful of states in America that sells the car that we were looking for. Unfortunately, that particular model is not sold in Georgia, our home state. Since we were already planning an anniversary trip to Niagara Falls, Canada, we thought we might as well stop by Buffalo to pick up our new car. With all the hassle involved in trying to reach an agreement and finalizing the deal via e-mails and phone calls, we did not have much time to research what to do once we reach Buffalo. The only images I had seen of this lakeside city were from an episode of Anthony Bourdain’s No Reservations. We only spent two nights in Buffalo, with quite a few hours spent at the car dealership. However, we made the best of our time there, and are happy to report that we like what the city has to offer. 1. The people are welcoming. There is a good reason why Buffalo earned the nickname The City of Good Neighbors. From strangers we passed by on our leisurely walks, to wait staff at restaurants, everyone we encountered was friendly and genuinely helpful. We experienced the warmheartedness of the locals as soon as we stepped into the hotel where we were staying, the Hampton Inn & Suites in downtown Buffalo. 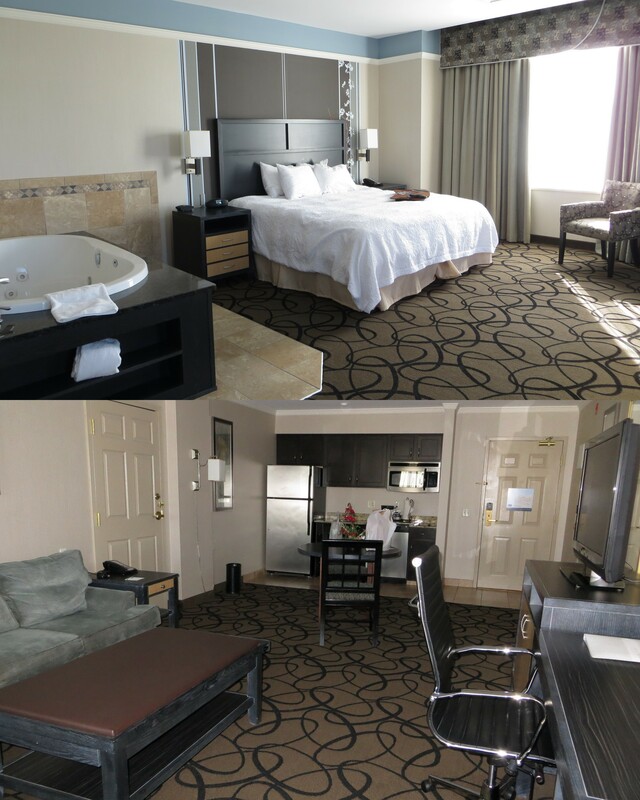 The front desk staff apologized profusely that our room wasn’t ready, and immediately gave us an upgrade to a spacious one-bedroom suite. Talking about a great start to our journey! 2. Buffalo has presidential connections. – In September of 1901, President William McKinely was assassinated during his visit to the Pan-American Exposition in Buffalo. 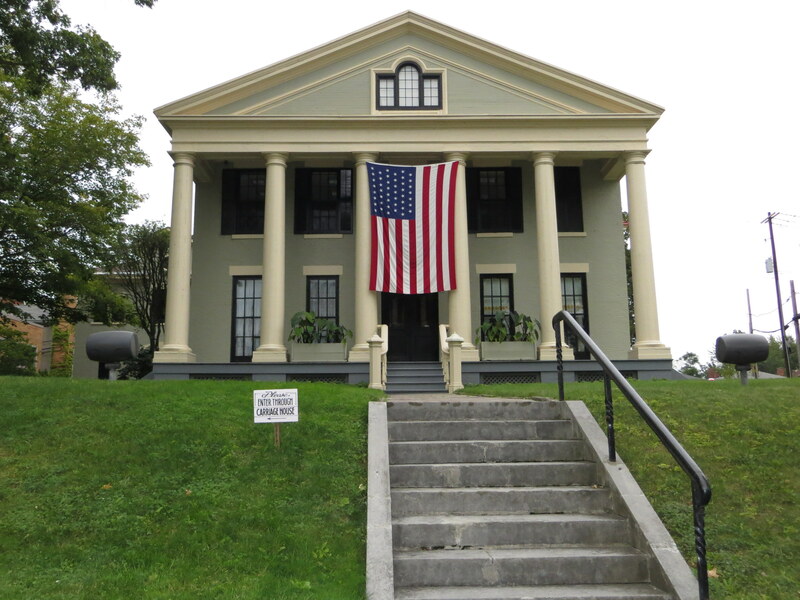 Following his death, vice president Theodore Roosevelt was sworn in at the home of Ansley Wilcox on 640 Delaware Avenue. – President Grover Cleveland was once mayor of the city of Buffalo. – President Millard Fillmore co-founded the University of Buffalo, the Buffalo Historical Society, and the Buffalo General Hospital. He is laid to rest at Buffalo’s Forest Lawn Cemetery. 3. The skyline and architecture in Buffalo are unique. Buffalo’s downtown area is pretty, with new buildings mixing in with the old. 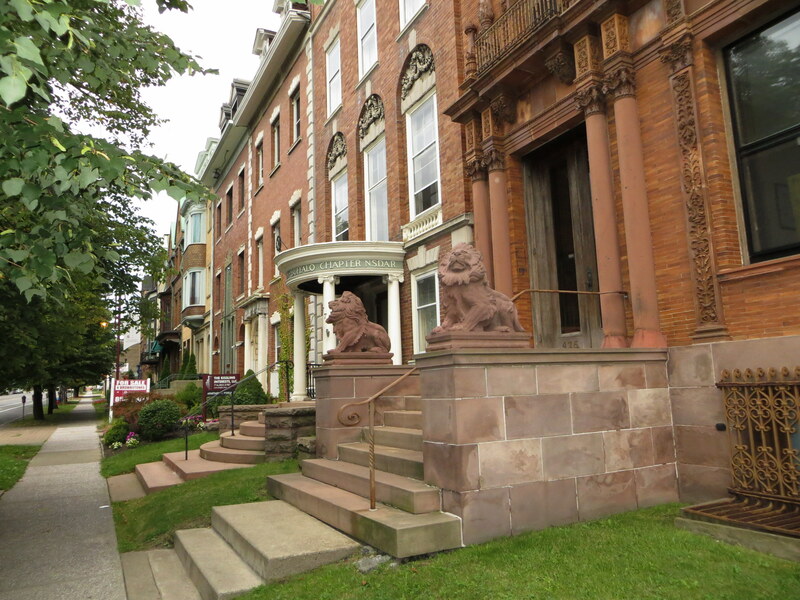 On Delaware Avenue, where our more-recently constructed hotel is located, classic brownstones and old churches line the street and are a delight to look at with their detailed facades. 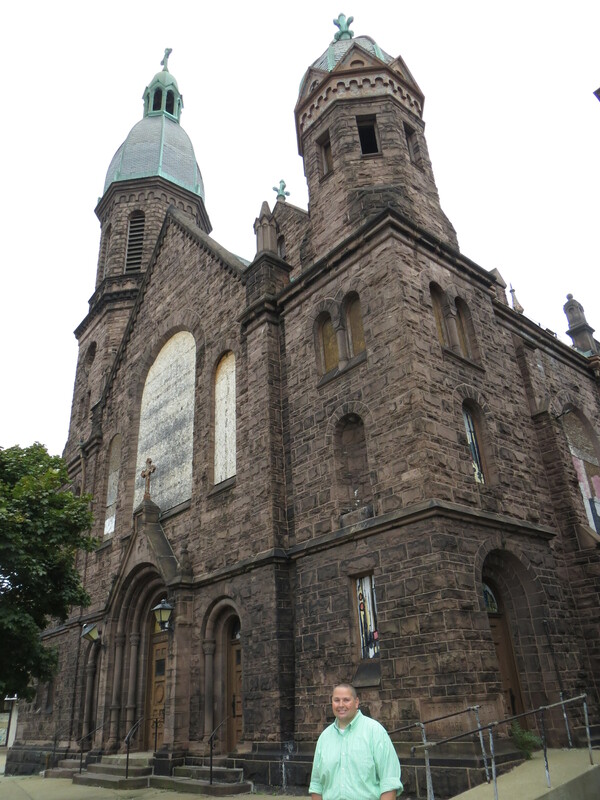 I can’t remember the name of this church on Main Street, but it sure looks really nice! 4. The waterfront area is a relaxing place to be. 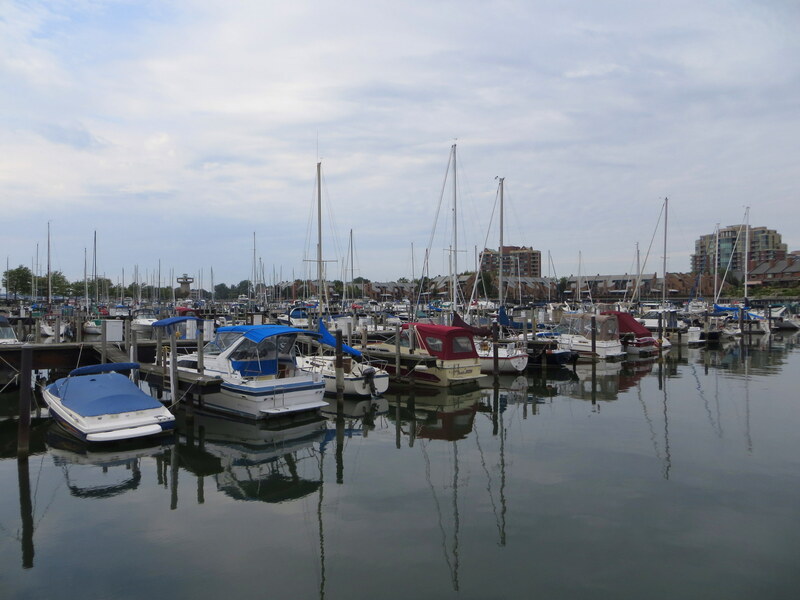 A short walk from downtown is the Buffalo and Erie County Naval and Military Park, and the Erie Basin Marina. We took a stroll along the lake to catch the afternoon breeze, and meandered through the gardens. 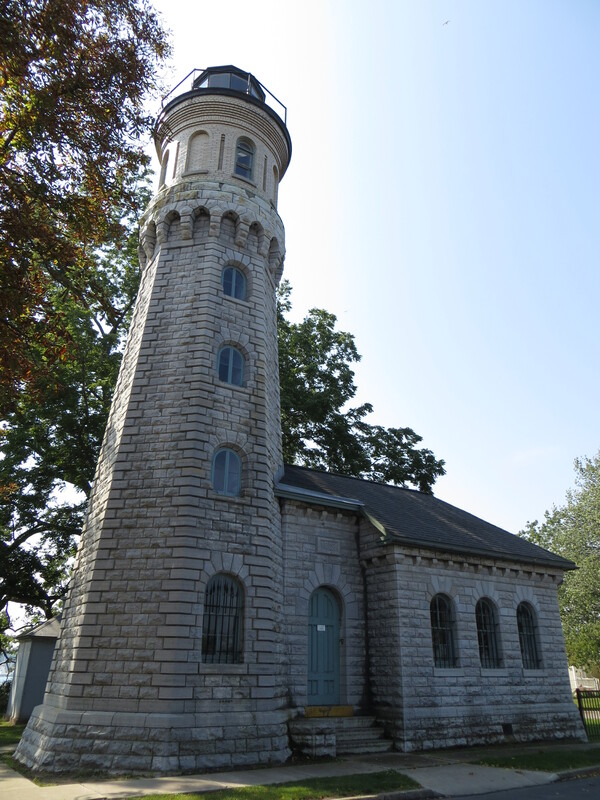 At the end of our walk, we enjoyed a cone of maple ice cream that we purchased from a vendor at the harbor, and took pictures of the lighthouse across the water. 5. 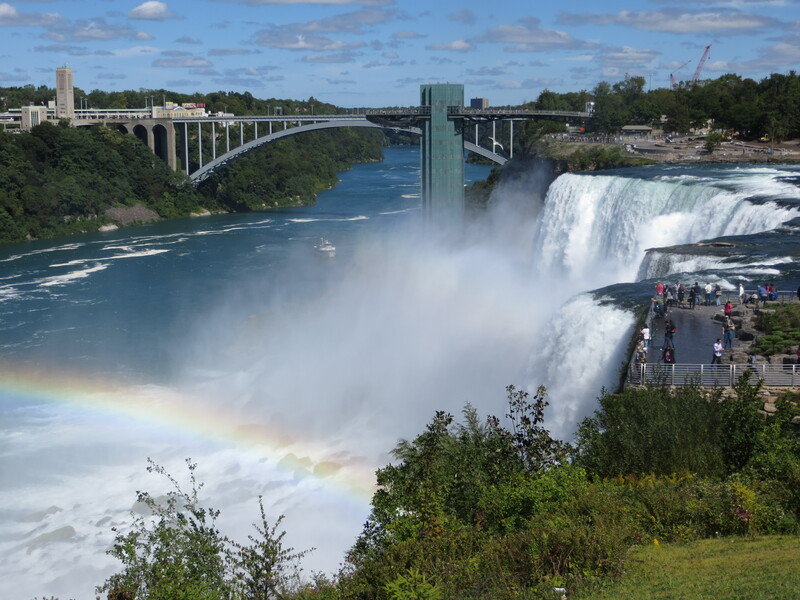 Buffalo makes a great base to explore Niagara Falls and other state parks. This city pretty much has the world-famous natural wonder Niagara Falls in its backyard. From downtown Buffalo, it’s only a half-an-hour drive to reach the Niagara Falls State Park. 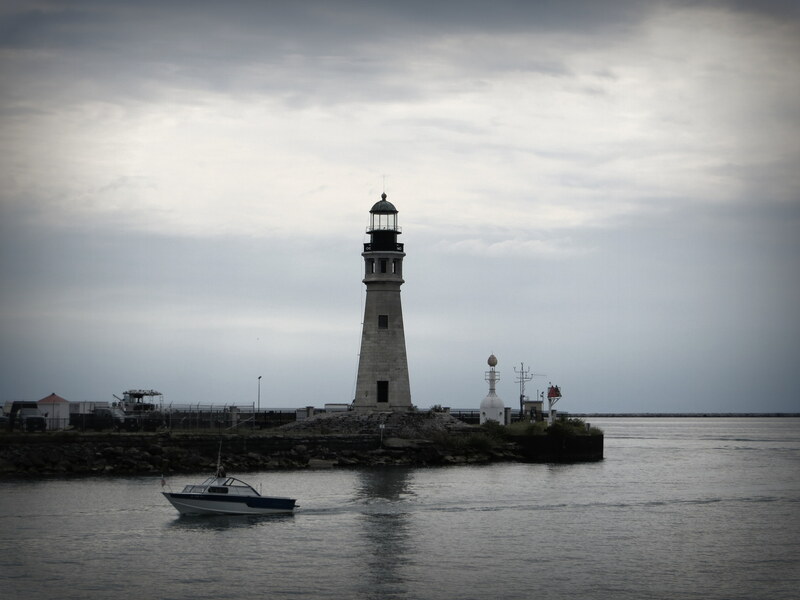 For history buffs, another destination worth visiting is Old Fort Niagara / Fort Niagara State Park. 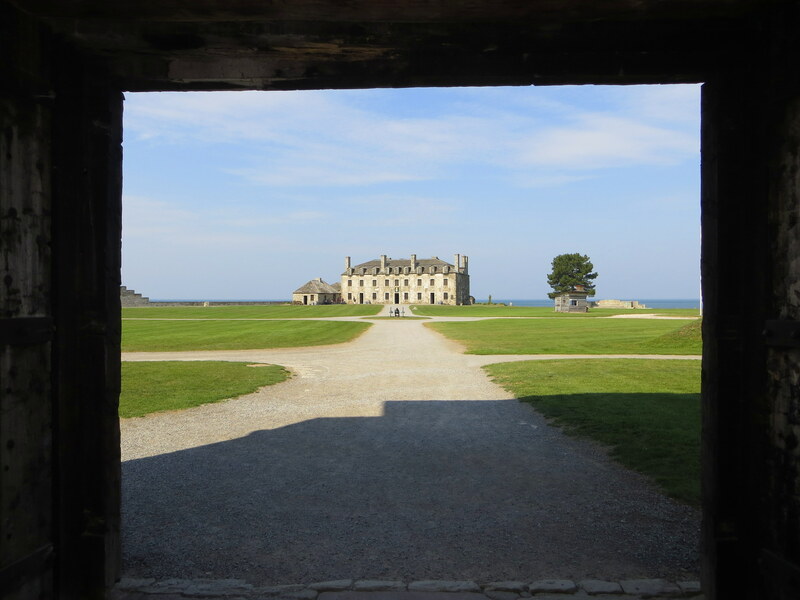 Old Fort Niagara is over 300 years old, and was occupied by three countries: France, Great Britain, and the United States. The grounds are beautiful, and the fort overlooks Lake Ontario and Niagara River. 6. The wings, need I say more? There was only one thing that Johnny researched before our trip to Buffalo: where to eat its legendary chicken wings. 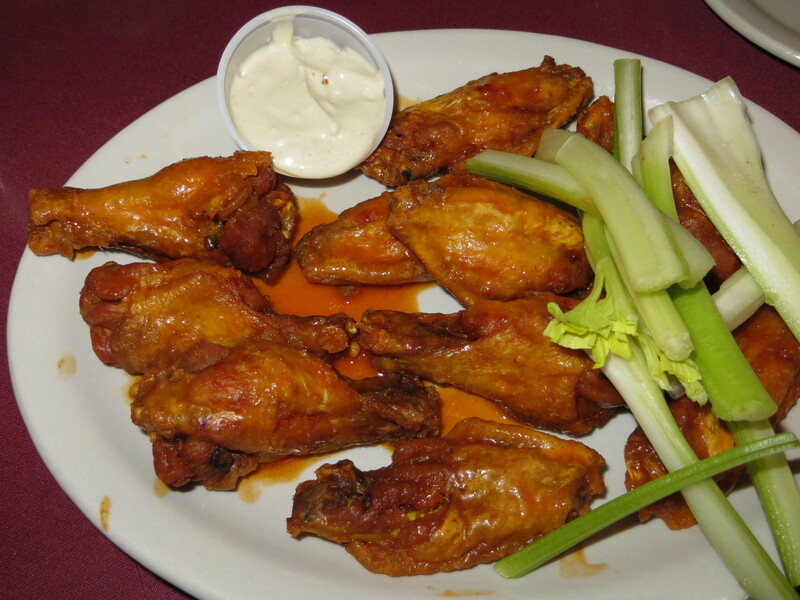 After all, it would be a shame to leave Buffalo without ever tasting the original Buffalo wings. 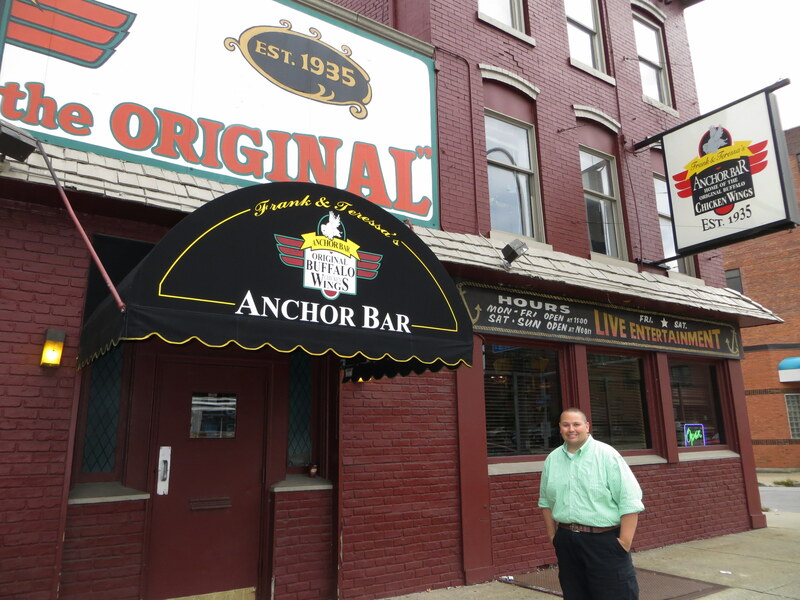 So we headed to Anchor Bar, where Teressa Bellissimo first served the now-famous wings in 1964. 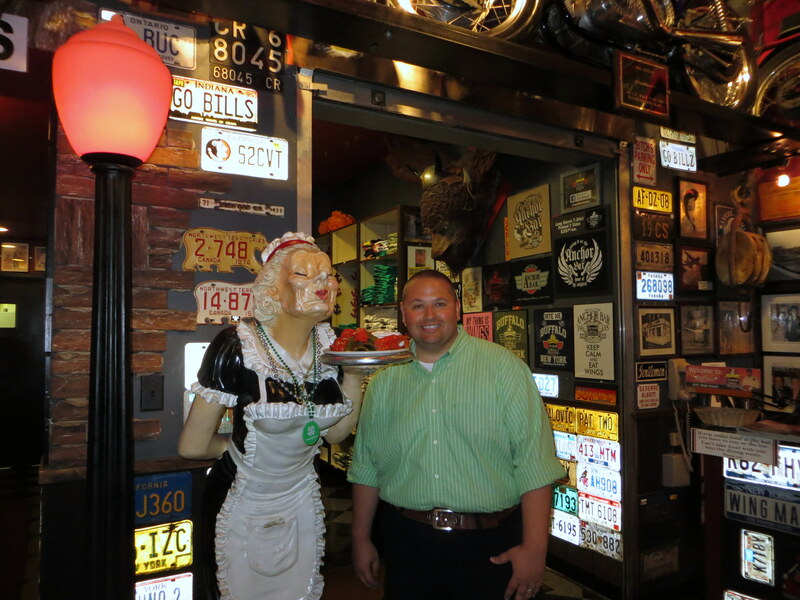 The decor of the restaurant itself is really neat, filled with memorabilia ranging from license plates to motorcycles mounted on the walls. We ordered wings and breaded jalapeno poppers off of their newspaper-style menu. Needless to say, both dishes were very tasty and prepared just right. It made me wish I could have a chance to have another plate. With limited time, I knew we barely scratched the surface in getting to know Buffalo. If you’ve been to Buffalo, or live in the city, what are some of the non-touristy things you would recommend? We have added this blog post to the #SundayTraveler, where you will find a collection of travel stories and recommendations from around the world. I’m really excited to be a part of the #SundayTraveler, and I would like to thank you for all your help. It must be so special for you to be able to visit your great-grandparents every summer. I hardly knew mine, and only remember one great-grandmother. I would love to go back to upstate NY, and maybe even visit Rochester. Thanks so much for linking up with is to #SundayTraveler. This places looks great, and I agree that church looks so great. I love the darkness of it. I’m so glad to be able to connect with so many of you at Travel Blogging 101 and the #SundayTraveler. Thanks for stopping by! I wish I lived a little closer to Buffalo, because I can eat those wings every other week. Niagara looks awesome – way more than just the falls! Looks like a great place to visit! And a hotel room with a kitchenette and fridge – now why don’t all hotels have that!! I totally agree with you, I wish every time I stay at a hotel I can have a fridge/kitchenette in the room. Especially when I’m on a road trip. I’ve driven through update New York plenty of times, but I’ve somehow never stopped to explore the area. It looks like Buffalo is worth a visit, though. The waterfront is beautiful! Buffalo is worth a visit next time you’re in upstate New York. 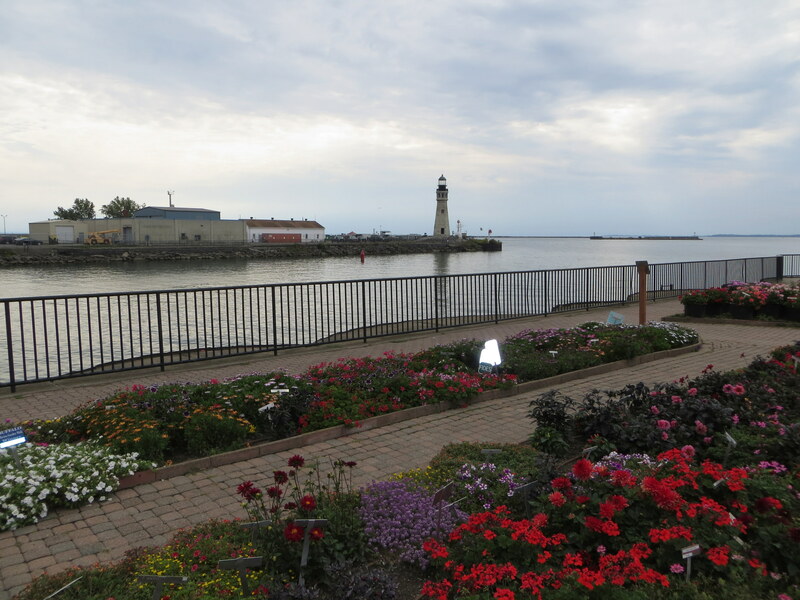 I’ve read that the city of Buffalo has in recent years spent a lot of effort to rejuvenate the waterfront area. And it definitely shows! I’ve watched that episode of Anthony Bourdain’s No Reservations, but I’ve never been in Buffalo myself. Lovely photos. And how not to love the city named: The City of Good Neighbors! Fortunately I wasn’t there in the dead winter time. My experience in Buffalo was totally different than that portrayed in Bourdain’s episode. Great post and photos! I’ve not been to Buffalo yet, but my parents have made multiple trips, and always come back home with nothing but good things to say – especially about the people! They also always seem to make time to head for some Anchor hot wings. I guess we will have to make some time to check Buffalo out for ourselves! Thanks for sharing! Thanks for stopping by, Travis. Buffalo is a good place to visit when you’re in upstate New York. If I had more time, I would have done the walking tour to learn more about the architecture in the city. I’ve only driven through Buffalo when I was visiting Niagara Falls and haven’t thought of it as a destination to visit before. Those wings look delicious and it looks like it has plenty to offer. I think many people don’t consider Buffalo as a destination in itself. But I found myself really enjoying the city, and wish I could have seen more. Mmm, those wings look delicious! And it’s so hard to find wings as delicious as those we had in Buffalo. That looks fun! I’ve never been to that side of the country before but Niagra Falls is somewhere I want to visit. With those yummy looking buffalo wings Buffalo perhaps might be on my place to visit while there. Thanks for sharing !